It was nice enough over the past weekend to wash the living room rugs. It's probably a harbinger of spring to see my rugs draped over the deck rails to dry. I kind of had to wash the rugs as Pilchard deposited a couple of rather large hairballs on both rugs. So, after a load of pants, I tossed these in the machine and draped them over the railing. It was great to be outside. You can see the snow retreating from the backyard. 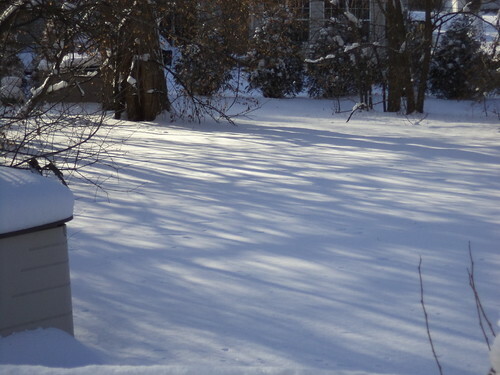 This was the backyard after the first snow, which was a goo 8 inches on January 2nd. Spring is tomorrow and you can smell it in the air. 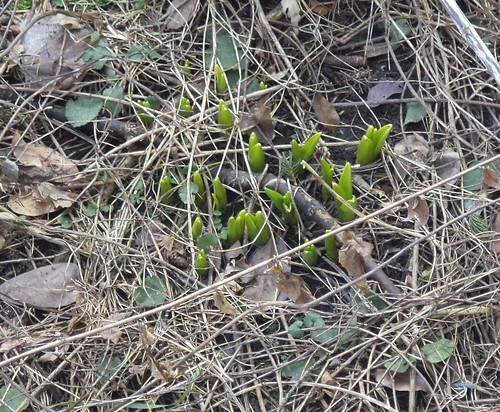 There's a lovely smell when snow melts with spring's edging. While I love the shadows on fresh snow, I'm ever so happy to see this vanishing. 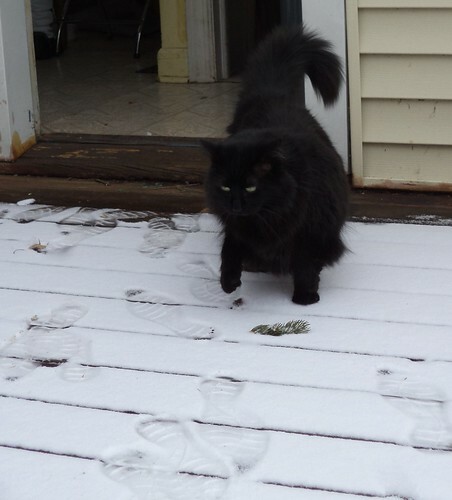 I let Pilchard out the last real snow fall on March 1st. I had gone to the grocery and she came out when I was emptying the car. She wasn't amused. But even with this quarter inch, we could smell spring in the air. 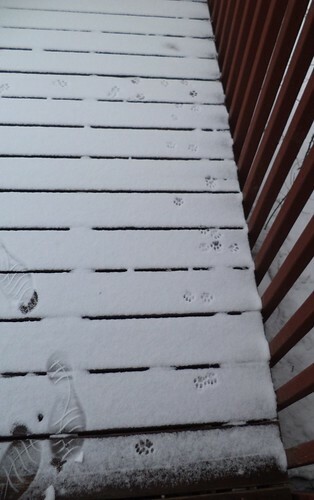 She wandered about and then dashed back inside. With any luck, this will be the last snow of the relentless series of snows this winter, although the cold is to be here next week. I saw a robin on Tuesday morning. I have heard them warbling in the yard. I think we are all ready for this winter to be officially over. It's coming. It's coming. Look. Hyacinths.